Private and luxurious four bedroom waterfront home overlooking Taylor Bay. So now that you’ve had a glimpse of paradise you’re not ready to return to reality? Don’t worry, you’re not alone; every year more and more people choose to turn their Turks and Caicos fantasy holiday into a permanent reality. What does the Turks & Caicos have that other island chains don’t? If you’ve been here, you already know... but for the sake of those readers who haven’t had the pleasure of wiggling their toes in the sands of Grace Bay Beach. Here is a rundown on what you’ve been missing: year round virtually perfect weather (annual average temperature of 82 degrees), flawless white sand beaches that have been voted among the top beaches in the world by Conde Nast, clear blue waters that boast some of the best SCUBA diving on earth, award winning resorts and world class restaurants captained by Michelin quality chefs. Emerald Cay Estate on Silly Creek in Chalk Sound, Providenciales. Bruce Willis, Ashton & Demi, Donna Karan, Keith Richards and many other celebrities are among the legions of wise investors who choose to have a holiday home on one of the numerous islands and cays that make up our beautiful island chain. Kelly Ripa and husband Mark Consuelo and many other glamorous couples regularly vacation here. The Victoria’s Secret models have had photo shoots on our glorious beaches and Gene Simmons is even rumoured to have purchased a whole island for himself! But don’t despair; you don’t have to be rich, famous, infamous or even exceptionally beautiful to make a part of the Turks and Caicos Islands your very own slice of nirvana. There are a lot of great reasons to buy property here and they range from the practical (tax haven status – no income, property or estate taxes, English speaking population, US dollar currency) to the whimsical (bragging rights to friends stuck in snow banks all winter, a chance to spend some quality time with Jo–Jo, our resident dolphin). However, the two best reasons to purchase or build a home in paradise are that it’s a great investment and, of course, the joy of owning a place for your family to holiday together, creating memories to last for generations. Discovery Bay and Cooper Jack area of Providenciales. Because the Turks and Caicos are still on the burgeoning end of development there are ample opportunities to purchase. Whether you’re moving to the islands for work, to retire or you’re buying a little place to call your own for regular retreats from the chaos of your workaday life, there’s always someplace special around the next curve of the beach. Practicalities: The ins and outs of purchasing real estate in the Turks and Caicos are surprisingly uncomplicated. The Turks and Caicos Real Estate Association (www.tcrea.com) has detailed information on the business side of things. Choosing a real estate agent will be your first step, and the islands benefit from many knowledgeable and talented professionals; you may work with any agent you like. Typically the seller pays the commission to the agent which will be in the range of 6 to 10 per cent and you, the buyer, will pay the Stamp Duty. Stamp Duty is a transfer tax and does not apply for sales under $25,000; for sales between $25,000 and $75,000 stamp Duty is 6.5% on Providenciales, 5% on other Islands; for sales above $75,000 it’s 9.75% on Providenciales, 5% on other Islands. Both the buyer and seller are responsible for their respective legal fees which can be 1 to 2 per cent of the total purchase or billed at an hourly rate. Banks may lend up to 75 per cent of a property’s value and rates are very reasonable at present time. If you choose to have your property included in a rental pool or have a property manager handle short or long–term rentals you can expect to pay anywhere from 10 to 40 per cent, depending on the services provided. If, like so many before you, you’d like to make the TCI your permanent home you may apply for a Permanent Residency Permit. By investing in Real Estate in either a residence or a business you are granted the right to apply for Permanent Residency. There is no residency requirement in the Turks and Caicos and the holder of a Permanent Residency Permit can claim the island as their principal residence for tax purposes. There are minimum amounts for investment before an application will be considered. On Providenciales the amount is $500,000 and on the sister islands it is $125,000. 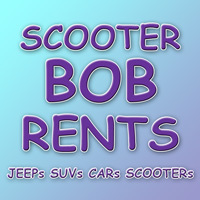 There is an additional one–time fee ranging upwards from $1,500 depending on your situation. A Permanent Residency Permit with the Right to Work requires additional fees and the Right to Work is not granted automatically. 1) Northwest and North Central: Are the farthest from the tourist area and provide a high level of privacy and quiet. Most of the real estate for sale in this area consists of vacant lots with a few notable exceptions. Vacant lots start at $50,000 and if you’d like a beautiful Balinese villa at the exclusive Amanyara resort you can have one for $15,000,000. 2) Northwest Point: Another secluded section of the island Northwest Point is home to the spectacular Mediterranean inspired Northwest Point Resort. You can own a condo in this beautiful complex for as little as $249,900. 3) Chalk Sound: Boasting some of the best views on the island including ocean views, views of the ultra turquoise waters of Chalk Sound and Silly Creek. Beach lots, view lots and interior lots available starting at $102,000. Many luxurious vacation homes are located in this area. Silly Creek is home to Emerald Cay, the most luxurious of all the private properties in the Turks and Caicos Islands. The home is currently offered with a listing price of $50,000,000. 4) Blue Hills and Stamers Run: Highest elevations of the island with some of the best views of the North Shore. View lots start at $125,000. There is a high end development in the area and ocean front estates up to $6,500,000. 5) Norway and Five Cays: This district is made up of a mixture of mostly local and commercial properties and extends to include a small portion of property on Chalk Sound. Vacant lots in the Chalk Sound area of this district start at $85,000 or choose to purchase an in–progress luxury home for $4,000,000. 6) Cheshire Hall and Richmond Hills: This area includes several high end neighbourhoods. Turtle Cove: Central to everything, close to downtown, the Turtle Cove Marina, Smiths Reef, Grace Bay, the beach etc. There is a small canal, lots with fabulous views, a nice beach with some of the best snorkelling on the island. Many new developments, including condos, townhomes and residential developments. Lots from $115,000, condos from $224,000. A luxury 6 bedroom private estate overlooking the northshore, Stargazer Villa is offered at $11,950,000. Cooper Jack: Some of the most stunning views of the Caicos Banks and is an area still undiscovered even by many residents. Plans for a marina and condo project are in the works. Lots start at $110,000. Thompson Cove: Many lots have both views of the ocean and a canal slip for easy access to the ocean on the north shore. View lots from $159,000 with homes up to $3,400,000. 7) The Bight and Thomas Stubbs: This area has been the center of the Condo development in the past decade. It includes a large section of Grace Bay and is also home to some of our newest and prettiest resorts Gansevoort Turks + Caicos and West Bay Club. You can purchase a time share at the beautiful Alexandra Resort for as little as $16,900 or own your own multi–million dollar luxury condo or home. 8) Leeward Going Through: This district includes the residential community of Leeward and a large section of Grace Bay. Leeward: A planned high end residential resort neighbourhood. There are some very nice vacation homes on the beach. Small lots start at $99,000, canal lots from $275,000, homes from $549,000 and ocean front land from $2.5 million. Grace Bay: Center of the tourist trade with the highest concentration of shops, restaurants, condos, the golf course and a casino. Golf course lots start at $250,000 and single family homes from $339,000. 9) Juba Salina:Turtle Tail: The location of many vacation homes this peninsula overlooks the Caicos Banks and is another area that will offer privacy and the feeling of being away from it all, just moments from the action. Available lots include lack view lots, ocean view lots, ocean front and beachfront lots starting at $64,000 to $1,500,000. Homes with stunning views start at $1,350,000 and ocean front homes from $2,400,000. 10) Long Bay Hills: Many listed properties in a very reasonable price range, this area, though moments from the main tourist area, this neighbourhood is serene and private. It has also shown good appreciation. Lots start at $77,000 for interior lots, view lots from $149,000, beach front lots start at $1,350,000 and homes run $375,000 to $4,000,000. Providenciales has benefited from a great deal of development over the past 20 years and is the focal point of the majority of our tourism industry, however, there are lots of other islands to consider as well. Ambergris Cay: Home to the Turks and Caicos Sporting Club, Ambergris Cay is a small private island being developed as a very exclusive address for the more active home owner. The island itself is a 1100 hectare cay just a few moments from Providenciales by plane and includes mangroves, bluffs and historic ruins as well as a planned nature preserve. Lots start at $650,000. 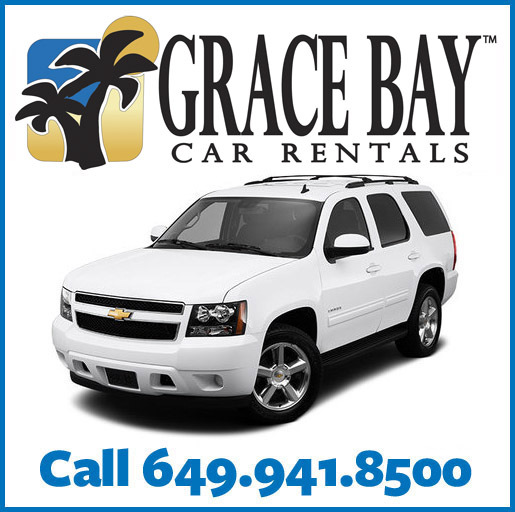 Grand Turk: This island is the seat of Government for the Turks and Caicos Islands. Founded by Bermudan salt rakers, the island has maintained a feeling of turn of the century Caribbean charm. 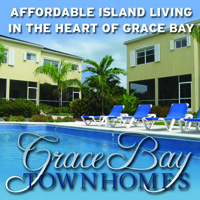 Many vacant lots and beautiful homes are available on Grand Turk. Land starts at $40,000 or you can own a luxury condo in one of the island’s new developments for up to $4,500,000 with many options in between. Middle Caicos: This 48 square mile island currently boasts around 300 full–time residents. It is the largest of our many islands and boasts the highest elevations. Nature hikes on Middle are a common pastime for residents of the nearby islands. Vacant lots start at $29,500 with very few completed homes listed at this time. North Caicos: Our most lush island, approximately 41 square miles with a permanent population somewhere in the neighbourhood of 1500. Much of the tourism and development is located around the Whitby Beach area. Vacant lots start at $20,000 or you can buy an entire resort for $35,000,000. Parrot Cay: Many celebrities call Parrot Cay their home away from home. This exclusive Turks & Caicos address is also the location of the Parrot Cay Resort & Spa and the Shambhala Retreat. There are currently no listed properties for sale on this sought after piece of paradise. Pine Cay: With a handful of year round residents, Pine Cay was the site of the first tourism development on the islands which opened in the early 1970s. The island is now home to the Meridian Club as well. No cars are allowed on the island, everyone uses golf carts or bicycles, and the atmosphere is very peaceful. There are precious few lots for sale and they range in price from $399,000 to $2,300,000. Salt Cay: This charming little island hasn’t changed much since the early 1900s. Although there are currently no properties listed for sale, the island itself is worth a visit if you are interested in the history of salt islands. South Caicos: Students from all over the world come to South Caicos to study marine and reef biology on this island. With a small, friendly local population of around 1200, this has the best protected natural harbour in all the Turks and Caicos. The harbour has seen a lot of activity from both piracy and the salt industry. There are vacant lots available from $65,000 to $1,295,000 and a few condos still available in the upcoming Caicos Beach Club Resort for around $350,000. West Caicos: Currently uninhabited, West Caicos has recently been under development for a small and very exclusive community. The island is home to ruins of salt and sisal cultivation and has some of the prettiest beach in all of the Turks and Caicos. 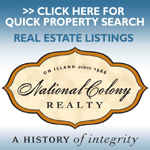 There are vacant lots for sale on both the east and west coasts of the island for $1,850,000. So, now that you know the ins and outs and what’s available, it’s time to go introduce yourselves to one of our many knowledgeable real estate agents and let them help you find exactly what you’re looking for! Care was taken to ensure correctness of information at press time. Information is subject to change without notice. Ad Vantage Ltd. accepts no responsibility for such alterations or for typographical errors or omissions. Entire contents of this page may not be reproduced in any manner without written permission of Ad Vantage Ltd. © November/December 2009 Where When How - Turks & Caicos Islands.